After the popularity and attention yesterdays drawing got, and how much fun it was to do, I’m going to continue on and do 2 more covering Mudkip’s next evolutions. Today it’s Marshtomp! 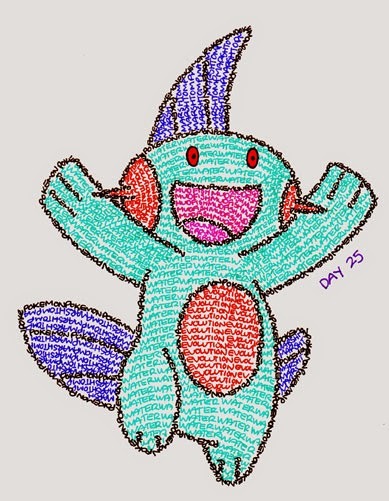 Once again, except for the eyes, only done using coloured felt tip pens spelling out the words: pokemon, water, marshtomp, ground, evolution and mudfish.